Interesting facts about Australia help future Filipino immigrants decide whether to go there. Australian facts on this page include Filipino jobs, skilled migration in Australia, work permit and other facts. The country attracts migrant workers because of its strong economy and world class health and education systems. Staying there will remind you just how strong, creative and friendly the people are. The 'dry' weather, lifestyle and landscape make it more exciting. More OFWs and Filipinos enter the country due to more open policy on skilled workers and migration. The growing mining sector, need for doctors and nurses and other skilled workers open doors for people planning to build their future "Down Under". Skills shortage and the threat of ageing population force the country to accept more foreign workers. For one, South Australia and the Philippines are talking about hiring Filipino workers to address skills shortage, including nursing jobs in South Australia. 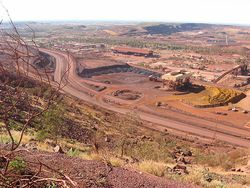 The booming mining sector requires mining jobs in Australia. The country needs Filipino engineers, geologists and other skilled workers. Heavy equipment mechanics, drillers and other mining workers are also needed. Welding jobs in Australia are in demand. Construction jobs need carpenters, cabinetmakers, furniture finishers, and refrigeration and air conditioning technicians. Engineering jobs need civil, mechanical, electrical, and electronic engineers. Other in demand jobs are aircraft maintenance engineers for aviation jobs, accounting jobs, IT jobs such as systems managers, software designers, systems designers, systems programmers, applications and analyst programmers. 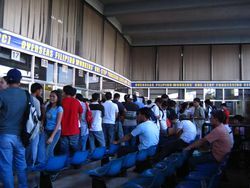 Check here on how to look for more Filipino jobs in Australia at the POEA website. 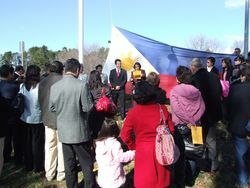 Filipinos may apply for Australia work permit through the Skilled Independent Visa. Your skill must be on the Skilled Occupation List (SOL). This work visa does not require sponsorship. You can live and work in any part of Australia for any job with or without Australian employment agencies. The current pass mark is 120 points. A Sponsored Visa requires a lower pass mark of 100 points. An Australian relative or an Australian state or territory government must sponsor you. There are some more requirements with this type of visa. In some cases you must pay a bond. Any of the above visas will give you Australian permanent residence. With this, you will have access to public healthcare (Medicare), certain social security benefits and being able to apply for Australian citizenship. Australia will keep on hiring Filipinos as it faces skills shortage. Some recruitment agencies even partner with Australian employment agencies to deploy skilled Overseas Filipino Workers (OFWs) without fees. And it pays to take the proper way of getting Australia work permit. Do not work there using a tourist visa. Persons who employ or refer an illegal immigrant for employment face a penalty of up to two years in prison and/or fines up to A$60,000 (US$55,000). One good news: The Philippines and Australia are working on a social security accord to allow Filipino-Australian pensioners receive their pensions here. Then you can retire in the Philippines with less hassle.